Brazil is likely weigh in as the 6th largest producer of cacao in the world in 2015 (behind 4 African countries and Indonesia). 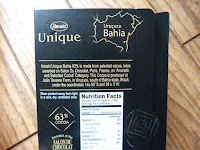 However, until recently, there haven't been that many opportunities to sample Brazilian cacao single origin bars in the U.S.
Harald Unique (Sao Paolo, Brasil) offers a series of different chocolate bars made with cacao from Amazonia. 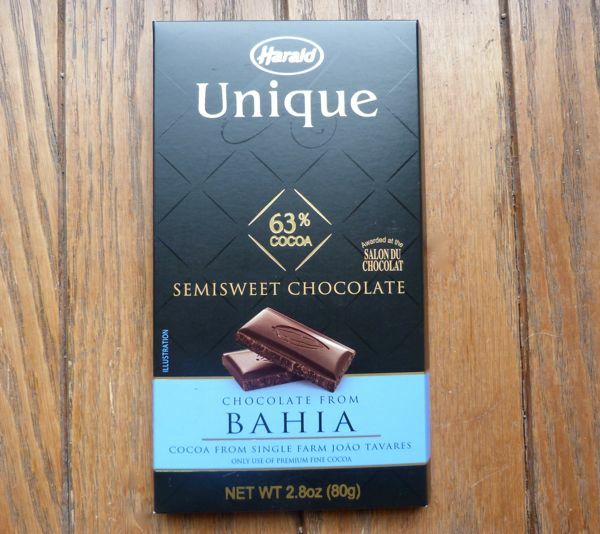 Yesterday's 70% semisweet dark bar was made with organic cacao from the Brazilian state of Pará in northern Brazil. 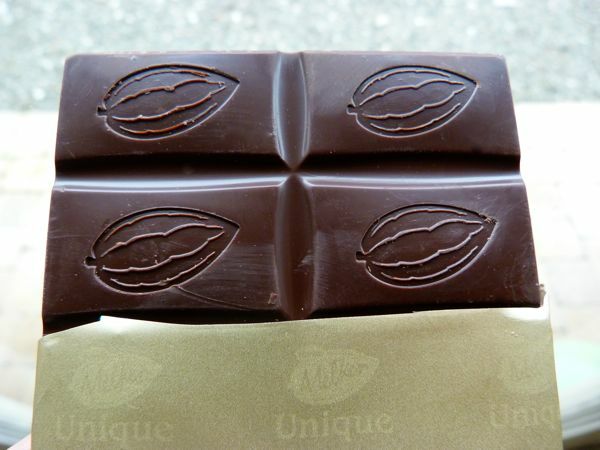 Today's 63% cocoa semisweet dark bar (no milk) came from further south. 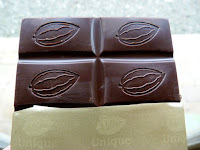 This Harald Unique bar was produced from cacao grown at "João Tavares* Farm, in Uruçuca, south of Bahia state, Brazil, under the coordinates" 14 degrees 05' South and 30 degrees 3' West. The bar was sweetly fragrant and tasted a bit like silken smooth, high-end chocolate frosting. If you're craving cake-like sweetness, this might be a great choice. The fruit and caramel notes mentioned on the packaging were edged out a bit by the frosting flavor, but still present. Flavor and texture were smooth and even, with no "off" notes. To Harald's credit, they are one of the first Brazilian-based makers (that I'm aware of) offering single origin bars here in the U.S. (via distributor Loco Brands in Florida) that also lists details about where the cacao is grown—down to the coordinate level. 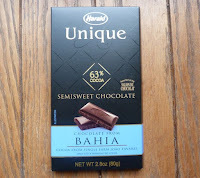 More Brazil single origin bar choices in the U.S. offers an opportunity to learn more about Brazil, Brazilian cacao (and plantations), and this large producer of chocolate. *João Tavares is a fourth generation cacao farmer in Eastern Brazil, who uses Cabruca agroforestry methods—including the practice of growing cacao under native shade trees.